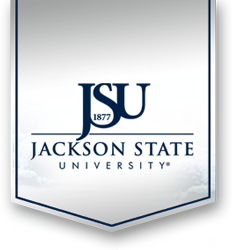 Jackson State University Department of Public Safety is responsible for preparing and distributing the Annual Security and Fire Safety Report. The Department works with many offices, departments, and agencies, both internally and externally, to gather and report the information that is required by the Jeanne Clery Disclosure of Campus Policy as well as the Campus Crime Statistic Act. The Annual Security and Fire Safety Report is published each year by October 1st for the general public. It discloses crime statistics that occurred on and around Jackson State University campuses, covering a three year period. The crime statistics are compiled from reported incidents that occurred on our campuses; public areas immediately adjacent to and located within the confines of campus; and non- campus facilities not within the same reasonable contiguous geographical area of the University. This data is captured from reports taken by campus police, security officers, local law enforcement officers and university officials who have significant responsibility for student and campus activities, identified as campus security authorities. Safety and security policies are disclosed in this report, such as the issuance of “timely warning” notices, emergency notifications, and their policies. These notices are initiated for crimes that pose an on-going threat to our students, faculty and staff occurring on or within close proximity of the University’s campuses. The Annual Fire Safety Report is included in this document. It outlines the fire safety policies and practices as well as discloses the number of fires that have occurred in Jackson State University’s resident halls. The University distributes this policy and a notice of the availability of this Annual Security and Fire Safety Report no later than October 1 of each year. Anyone, including prospective students, visitors and employees, may obtain a free paper copy of this report by contacting the Department of Public Safety at (601) 979-2580 or going by that location.